It’s almost National Cheese Day and you got to make sure you get your cheese fix. Cook mushrooms and garlic in olive oil, stirring occasionally, until browned. Add torn kale leaves and if desired, red pepper flakes and cook, tossing, until kale is wilted. Season with white wine vinegar, salt, and pepper to taste. 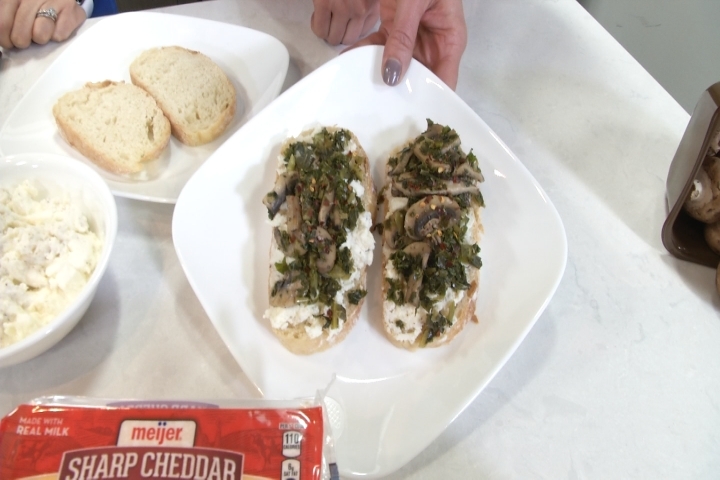 Mix ricotta and feta and season with salt and pepper and spread onto toast; spoon mushroom-kale mixture on top. Serve and enjoy! For more recipes and health and wellness tips, visit AHealthierMichigan.org.